The Gospel of the Beloved Companion by Jehanne de Quillan, published in 2010, is the first English translation of a gospel that was preserved by the author’s spiritual community based in the Languedoc region of France. Originally written in Greek, the text came from Egypt to Languedoc in the first century, and was kept at great cost since that time. de Quillan’s book provides an English translation of the text, followed by commentary that compares it to the Gnostic gospels of Thomas and Mary, and to the canonical gospels. The Gospel of the Beloved Companion (GBC) is most similar to the canonical Gospel of John. I would like to review the book as a whole, then provide my own comparison of GBC to the Gospel of John. In the introduction to the book de Quillan writes that the original text for the GBC is extant, but protected and not available for public view. Therefore, there is no way to verify whether the text is a translation or an invention; she invites readers to determine whether the text is authentic based on its content, rather than on empirical evidence. In this sense it’s like the Book of Mormon; readers are invited to make up their minds about its veracity based on what they feel. My point of view here will be one of accepting the text as what it claims to be, a gospel written by Mary Magdalene. The GBC is unique because it tells the story of Jesus’ life from the perspective of a woman. The Beloved Companion is Mary Magdalene, sister of Lazarus and Martha. Overall the message of the GBC is the same as the canonic gospels: Jesus is the way to eternal life. The stories of the GBC are mostly identical to the stories in John. So in many ways the message is not significantly different because it came from a female author, which is what I suspect may be true of what would happen if we had female prophets and priests in the church today: the message would still be “Come unto Christ.” But it matters that the messenger can be female, and it calls into question whether an authoritative account by a woman could have been included in the canonic gospels but was excluded. de Quillan uses textual analysis to argue that the companion whom Jesus loved, mentioned in the Gospel of John, was Mary Magdalene, not John. She argues that the GBC is actually an older text than the source documents for the canonic gospels, as well as older than the gnostic gospel of Thomas. She uses historical and textual evidence to argue that Mary Magdalene was the beloved companion present at the Last Supper, and points out that after Jesus’ death Joseph of Aramathea begged his body from Pilate, and would have given it to Jesus’ family. Traditional Jewish funerary conventions gave women the duty of preparing bodies for burial, and giving the body to Mary Magdalene’s care should mean she was family, possibly his wife. This idea would have been very unpalatable to the Roman church, which could explain Mary Madgalene’s reduced status in the canonic gospels. The GBC is perhaps somewhat lower in christology overall. It does not include the mystical beginning of John 1 about Christ being the Word. The GBC uses softer language when it comes to Jesus’ personhood and resurrection, for example GBC 24:1 “I bring light to the world” compared with John 8:12 “I am the light of the world.” And when Mary Magdalene meets Jesus at the tomb, John 20:17 reads, “Jesus saith unto her, Touch me not; for I am not yet ascended to my Father: but go to my brethren, and say unto them, I ascend unto my Father, and your Father; and to my God, and your God.” GBC 40:6 says, “Jesus said to her, Mary, do not hold to me, for I am not of the flesh, yet neither am I one with the spirit; but rather go to my disciples and tell them you have seen me, so that all may know that my words are true and that any who should choose to believe them and keep to my commandments will follow me on their last day.” But the GBC is clear that Jesus points the way to eternal life. The GBC follows the gospel of John very closely until about John 20, after which it differs. The GBC concludes with a sermon by Mary Magdalene, after which Peter and Andrew say her words are untrue, and Matthew defends her. de Quillan makes the point that Peter had a different understanding of Jesus’ teaching than Mary and Matthew, and perhaps the very first split of what would become Christianity happened very soon after Jesus’ death, and that this also represented the first attempt to silence the feminine from Christianity. This is an interesting idea to me as a Mormon, who has always been taught that a falling away from Christ’s full gospel happened fairly soon after his death. Now here, for what it’s worth, are some comparisons I made between the GBC and the gospel of John. GBC starts with John the Baptist, not with the Nativity, just like the Gospel of John does, and proceeds directly to the calling of the disciples. Next is the miracle at Cana. In attendance it mentions brothers of Jesus: Jacob and Joseph, and a sister Mary. Mary (the beloved companion) and Martha, sisters of Lazarus. Also Matthew, and Thomas (a friend to The Companion). However the GBC adds an interesting detail GBC 6:9: “This beginning of his signs Jesus did at his wedding feast at a place near Cana in the land of Judah, and revealed his glory; and his disciples believe him” (emphasis mine). I’ve heard speculation that this was Jesus’ own wedding feast, and in this text that is explicit. Next we have the story of the overthrowing the moneychangers at the temple, in John 2. The GBC adds a striking commentary by Jesus. The stories of Nicodemus, the woman at the well, healing a nobleman’s son, and healing at the pool of Bethesda (John 3-5) are nearly identical. Next is the feeding of 5,000, as in John 6. He goes out on the sea of Galilee with the disciples, but in GBC he does not walk on water. Jesus said he is the bread of life, and that their father’s ate manna and are dead, like in John 6, but the GBC text is more verbose. It continues into John 7, where the disciples argue about whether a prophet could possibly come from Galilee. Instead of concluding just with “every (man) went to his own house,” GBC adds, “But Jesus went back to Bethany to the house of the Beloved Companion near the Mount of Olives.” There is something dear about the possibility of Jesus returning to beloved friends for comfort. The exchange with Pharisees about being Abraham’s children and the story of healing a blind man follow closely (John 8 and 9). Unique to the GBC is a passage about the Pharisees wanting to stone Jesus for claiming to be the messiah. John 10 has no correlate in the GBC. John 11 contains the story of raising Lazarus from the dead. The miracle is somewhat downplayed in this Gospel. Jesus says, “Your brother is not dead but sleeping,” without the clarification in John 11:14 “Then said Jesus unto them plainly, Lazarus is dead.” The part about Lazarus stinking and being dead four days is not there. Next comes a passage that has no correlate in John. It’s reminiscent of passages in Matthew that talk about the kingdom of heaven being like a mustard seed, or treasure in a field, or a pearl of great price, or leaven. But also unlike anything I can think of in the New Testament. There’s nothing in the New Testament that says the kingdom of God is within you. That seems like a pretty modern sentiment to me. John 15 is mostly the same, but John 16 and 17, in which Jesus teaches of the Comforter, of his death and resurrection, and offers his intercessory prayer, are not found in the GBC. The GBC expands on the “they” in John 19:40 Then took they the body of Jesus, and wound it in linen clothes with the spices, as the manner of the Jews is to bury. GBC says it was Mary Magdalene, Mary the mother of Jacob, Joseph, and Salome. The Joseph is apparently Joseph of Arimathea. After the scene at the tomb, the GBC relates a scene not found in the canonic gospels. The GBC then relates that some of the disciples did not believe that Jesus said these teachings, including Andrew, and Peter. Matthew defended her. And they were divided, and it says they went to teach what they understood of Jesus in their own ways. This concludes the Gospel of the Beloved Companion. Poll: How does family affect your church membership? Wow! Emily U, this is fascinating. The changes you describe in the GBC resonate with me. I love how they include women more and de-emphasize the maleness of God. And you’re so right — that the messenger is a woman matters. It matters a lot, even if the thrust of it is similar to the canonical gospels. This is fascinating, Emily! I admit to not knowing about the gospel of Mary much more than what I’ve read in news articles. I love that this telling of the Christ story comes from a woman, that feels monumental to me. We really don’t have any examples of women speaking their own words since even when women are quoted in the scriptures it’s filtered through a male editor. It’s interesting that in the GBC the maleness of God is less emphasized, I wonder what caused Mary to take this approach? That seems revolutionary. I’m so glad that you shared this. Thank you so much for this thorough review. I wish we had more feminine perspective in our canon. It is interesting how this gospel shows a woman in leadership, and that only some of the men in religious power would accept a woman’s leadership, seems unfortunately likely too. I also love the words of Jesus to the money changers–it seems like he is describing what we call unrighteous dominion in our church. A thorough review. I appreciate that. Thanks, MB. I’m sure I’ve read those verses before but they didn’t stick in my memory. Knowing that reference is there in Luke adds a different dimension for me. Well done. As a note, “the Kingdom of God is within you” also is in the Gospel of Thomas. I read through this quickly when it was first posted, and came back to read it more carefully when I had a bit more time today. This is so interesting! The differences between the two texts are really enlightening. It makes me think about a lesson from seminary when we talked about how each of the canonized gospels were written for different audiences. Maybe the GBC was written for women. How cool would that be?? If this translation were the result of true scholarship the author would have at least included a photograph of the MS. All the evasion surrounding the original text goes a long way to diminish its credibility as a historical document. I lean to the opinion that the author has written a piece of “feel-good feminist fiction.” If I am in error, the burden of proof is on the author, not this reader. Emily, thank you for this review. I grew up Mormon and didn’t graduate myself until 2000, at the age of 45, and I’ve been studying the Goddess ever since. Within just 2 years, my entire life revolved around partnership rather than patriarchy. I’ve since become an initiated Shamanic Magdalene High Priestess, and I facilitate women’s empowerment Priestess and High Priestess groups. It is THE most powerful work I’ve ever done. I’ll be going to Jehanne de Quillen’s training in DC in April and I’m looking forward to it. Erana Louise, the link to your blog isn’t working, sadly. 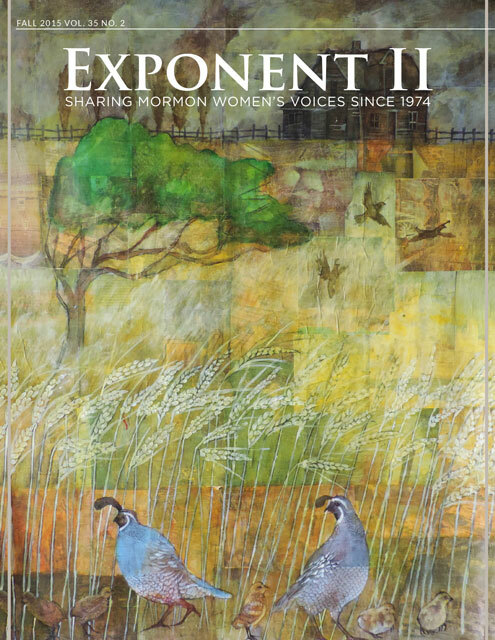 I do not believe such a “gospel” is “extant” for two reasons. One, like another fraud, Joseph Smith and his Golden Tablets, you are not able to produce it or any evidence of its existence. Another problem is that Mary of Magdala and Mary of Bethany (Martha’s sister) are completely different people! If any such document exists why does it follow later medieval Catholic misinterpretations of the canonical gospels?